The Copland Brewing Co. Ltd.
Cronmiller & White Brewing Co. The E. Girardot Wine Co. Ltd. Ideal Soda Water Mfg. Co. 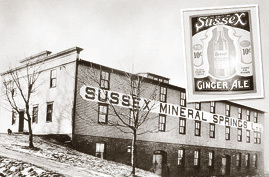 Prince Albert Mineral Water Co. Ltd.
Union Soda Water Mfg. Co. Ltd.